For Honor Year 3 will include tons of new content for players looking to go further in the action game. 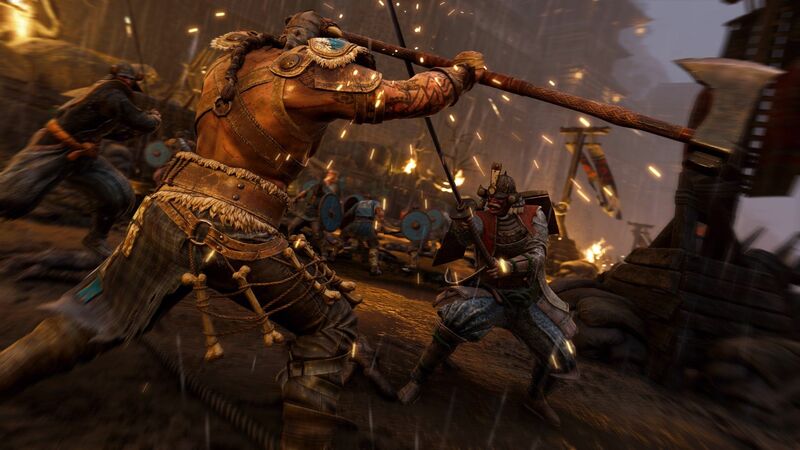 Ubisoft announced that For Honor will be continuing to introduce additional in-game items with the third year of content for its popular action game. 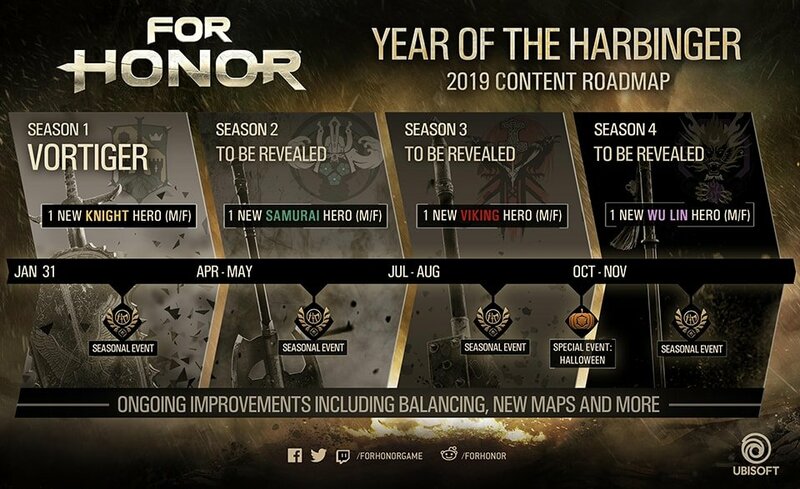 For Honor Year 3 will revolve around the Year of the Harbinger, and will include four new Heroes, new maps, regular gameplay balance updates, and seasonal in-game events with new and different ways to play. The event will start on January 31, with the new Season, Vortiger, which will be introducing a new yet-to-be announced Knight Hero in addition to a new map. Ubisoft plans on releasing additional details about the new content later throughout 2019. Players can purchase the For Honor Year 3 Pass to get access to each new hero with 7 days of early access. Everyone else will be able to play with the heroes following the 7 ays of early access by using Steel in-game, with each Hero priced at 15,000 Steel. The pass will also unlock five Scavenger Crates, 30 days of Champion Status, and a "Thunderbolt and Frightening" effect that's applicable to all Heroes. The For Honor Complete Edition is up for grabs for anyone who wants to see all the content from the beginning before jumping into Year 3. It comes with the base game, the Year 1 Heroes Bundle, the Marching Fire expansion, and the Year 3 Pass to get everyone ready for the next wave of gameplay goodness right around the corner next year. It's a good place to start, if you're looking for a jumping-on point. For now, you can check out the above roadmap for teases at what's to come in the popular Ubisoft title. Is anyone just now getting into the game or looking to do so in the next few months? Seems ike a great time to, after all.